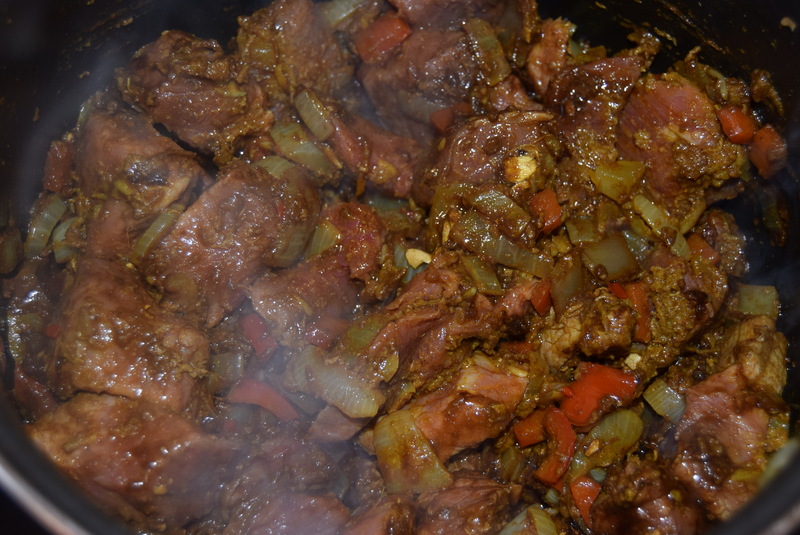 I would say my families main food love is a beef curry; we have been making and eating this dish as long as I can remember. Be it a family occasion or just a nice comforting Sunday dinner. 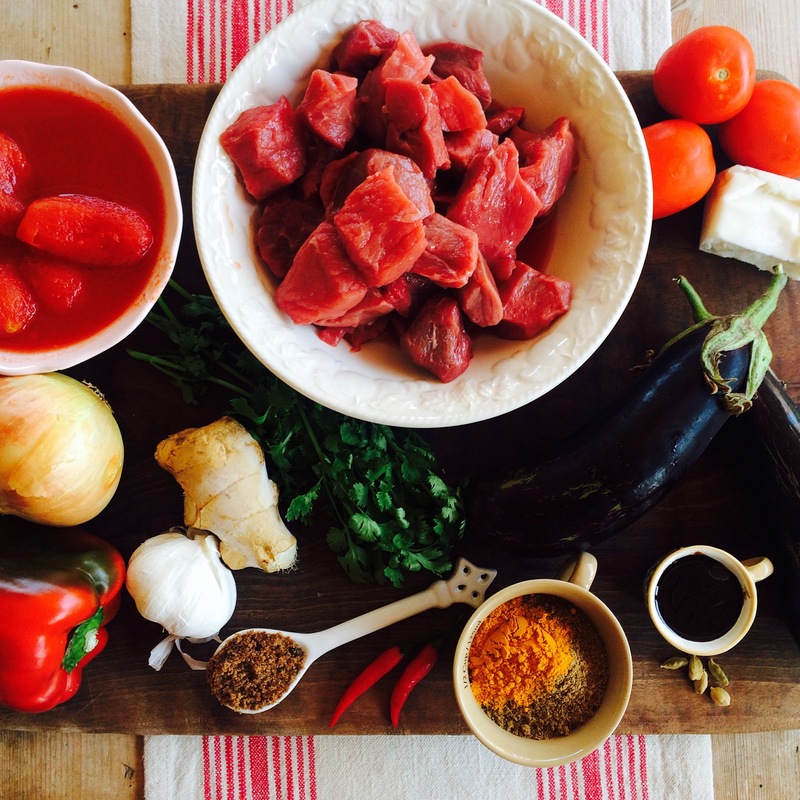 We each make this curry a little different but they are all just as tasty. The recipe stems from a basic curry recipe of my Nana’s where the spices are simple; 2 Tbsp coriander to 1 Tbsp cumin powder, turmeric, paprika and chillies, then we each add our little variations of spices. I love Tamarind and cardamom with beef which is why I have used these spices. 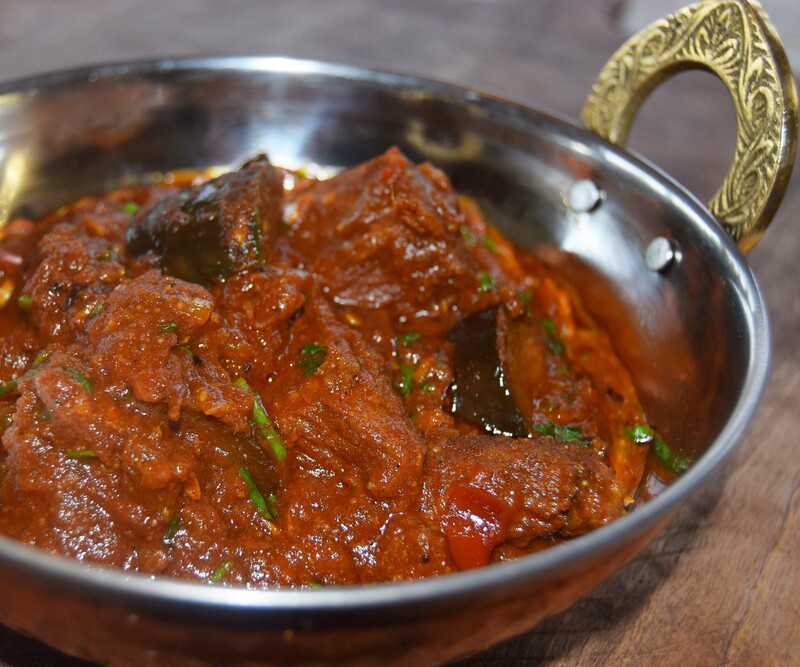 Aubergines are great with beef too but other veggies work well such as carrots, and an old favourite of mine is beef and okra (lady’s fingers). The Aubergines and Tomatoes where picked straight from the garden!! 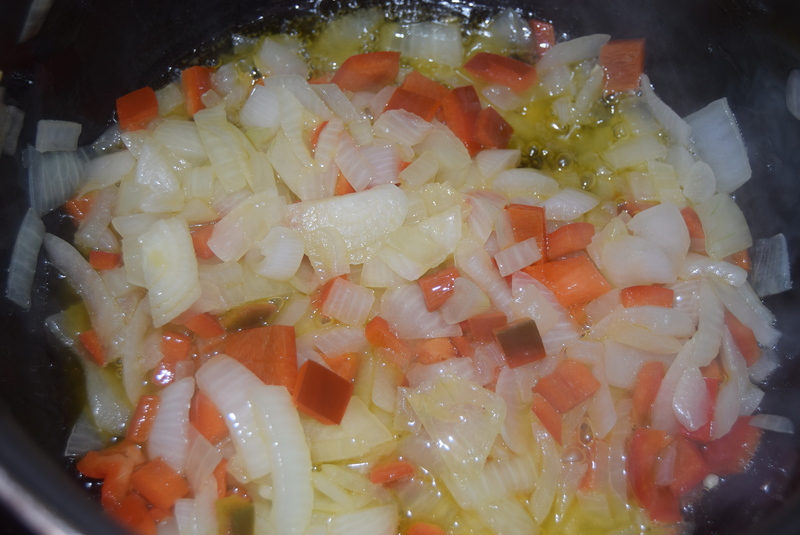 Heat the ghee/oil and soften the onions then add the red pepper can cook for another 2 minutes. 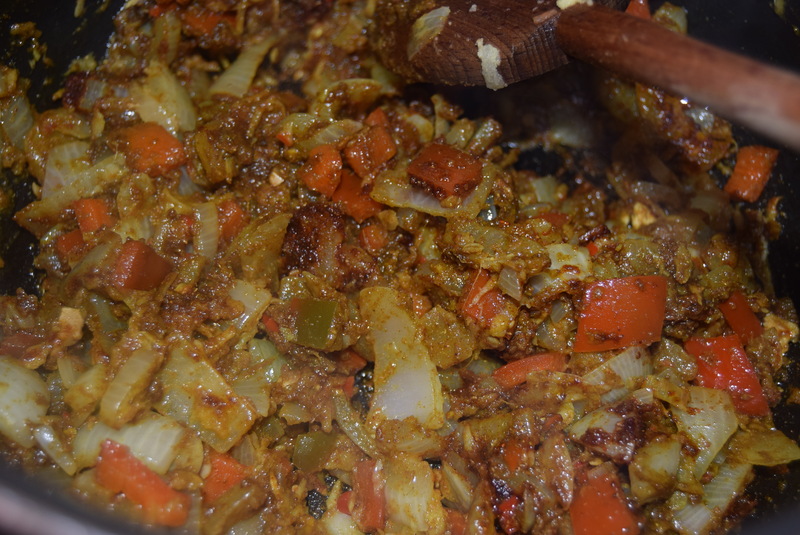 Add the garlic, ginger and chillies cook for a further minute then add the dry spices. 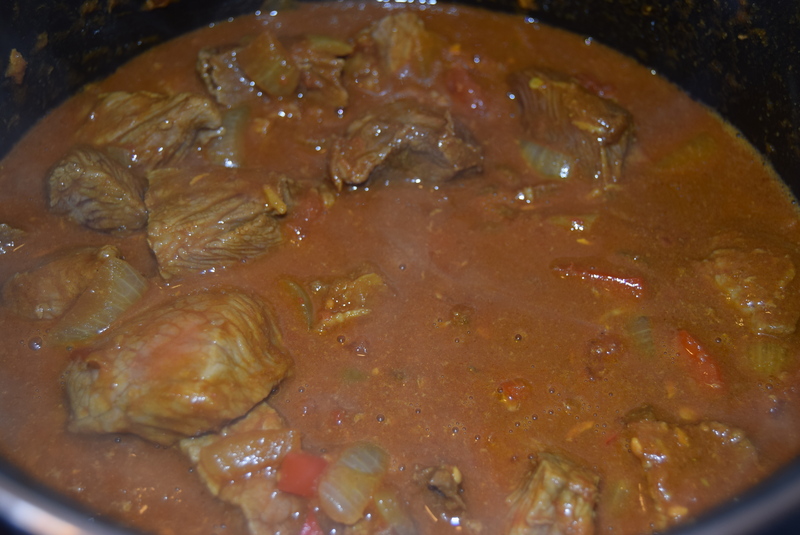 Sprinkle 1 tsp sea salt over the beef then add this to the pan, coat the beef in all of the spices and brown. Now drizzle in the tamarind and mix well. Add the tin tomatoes slightly crushed them as you stir, then add tomato paste/frito. Stir well then cover and cook for 20 minutes. I popped this into the oven at 200 degrees, but you can cook on the hob. 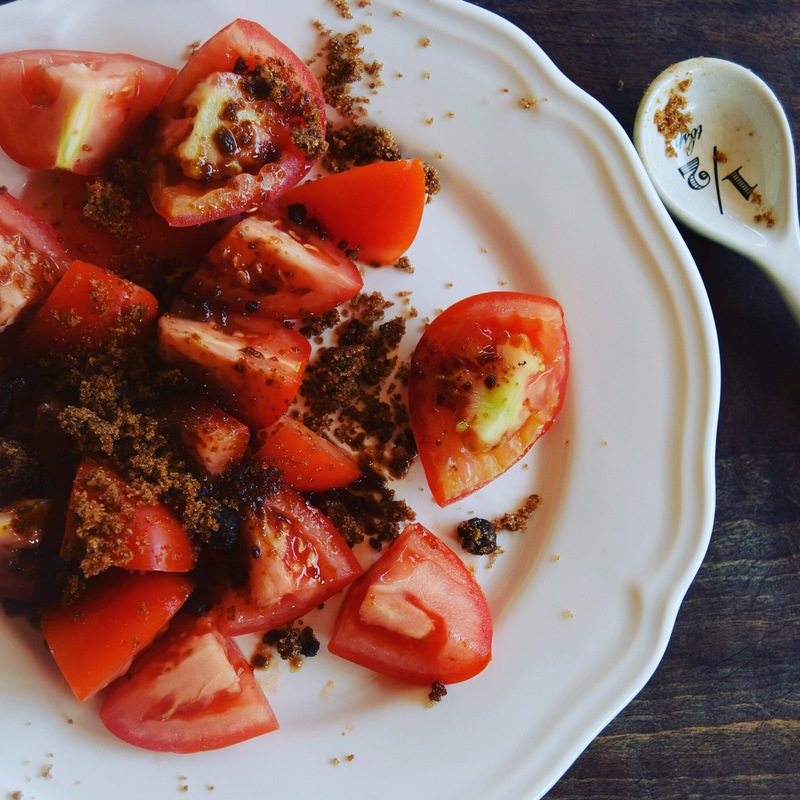 During this time sprinkle the sugar over the fresh tomatoes and set aside. After the 25 minutes add the fresh tomatoes and the sugar juices, stir then place back into the oven. You are now cooking this until the beef is nearly tender, perhaps another 20 minutes. 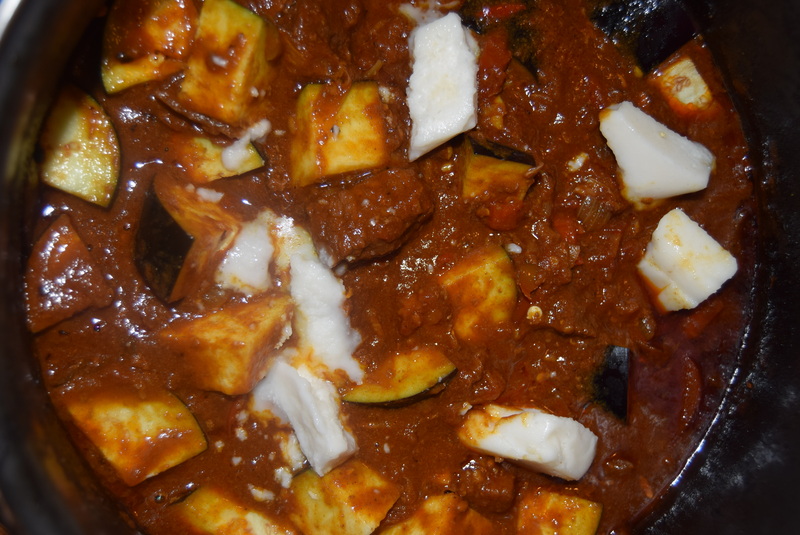 Once the beef is nearly done add the aubergine and creamed coconut, stir well then pop back into the oven uncovered. Cook for another 10 minutes or until the aubergines are cooked. Taste the flavour for more salt you may need a little touch more. Now you are ready to sprinkle in the fresh coriander, stir it in and then serve! Cook for another 10 minutes or until the aubergines are cooked. Taste the flavour for ore salt you may need a little touch more. Now you are ready to sprinkle in the fresh coriander, mix it in then serve!